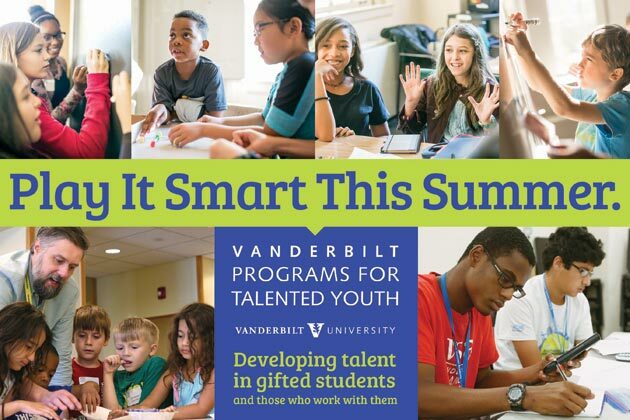 Jan. 30, 2019—Vanderbilt Summer Academy, a program through Vanderbilt Programs for Talented Youth, offers academic residential summer programs for qualifying gifted students in rising seventh through 12th grades. 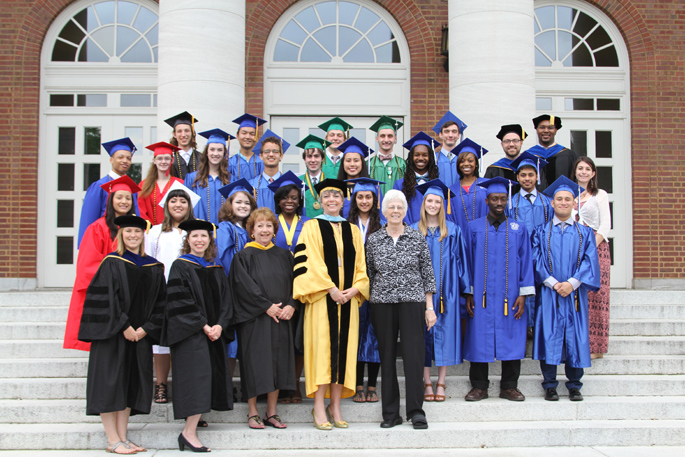 The Summer 2019 Application Priority Window for VSA is from noon on Wednesday, Feb. 6, to noon on Wednesday, Feb. 13. 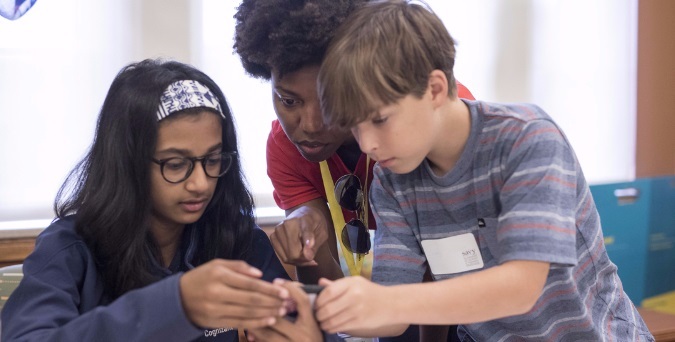 Sep. 9, 2018—Vanderbilt Programs for Talented Youth’s Weekend Academy at Vanderbilt University is an all-day Saturday experience for students in grades 7-10, designed with early career exploration in mind. 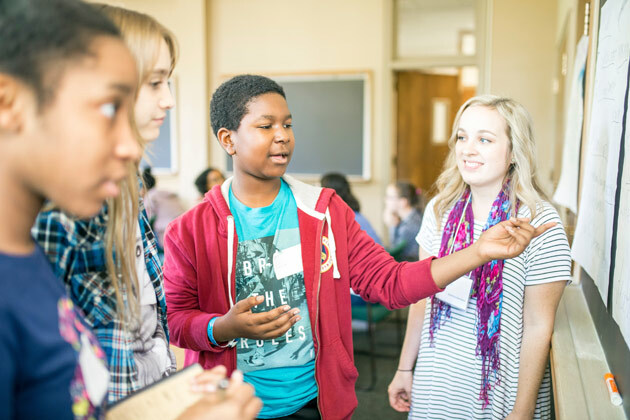 Sep. 21, 2017—Vanderbilt Programs for Talented Youth is now accepting instructor course proposals for its summer 2018 student programs. May. 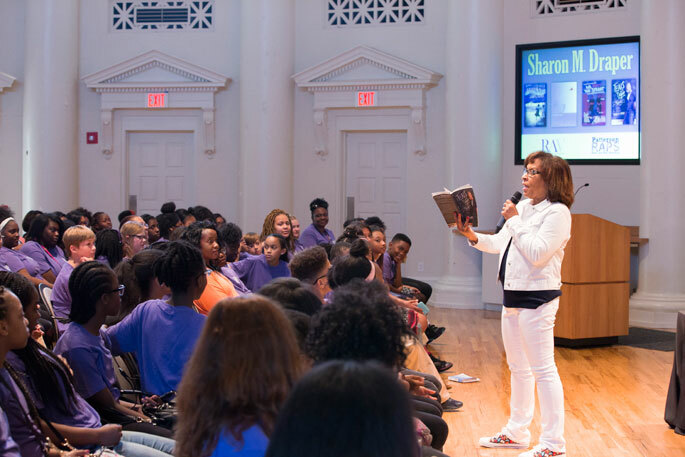 26, 2017—Best-selling young adult fiction writer Sharon M. Draper visited the Wyatt Center at Vanderbilt’s Peabody College to motivate and inspire Nashville middle schoolers. 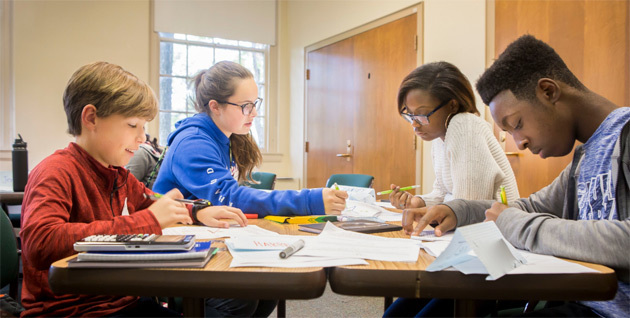 Jan. 31, 2017—Vanderbilt Summer Academy, a residential program through Vanderbilt Programs for Talented Youth, offers one-, two- and three-week sessions for qualifying gifted students in rising grades 8-12. Jan. 6, 2017—Are you looking for a summer opportunity for an advanced learner in your life? Take advantage of the Summer SAVY 2017 Application Priority Window, available from noon Tuesday, Jan. 10, to noon Wednesday, Jan. 11. 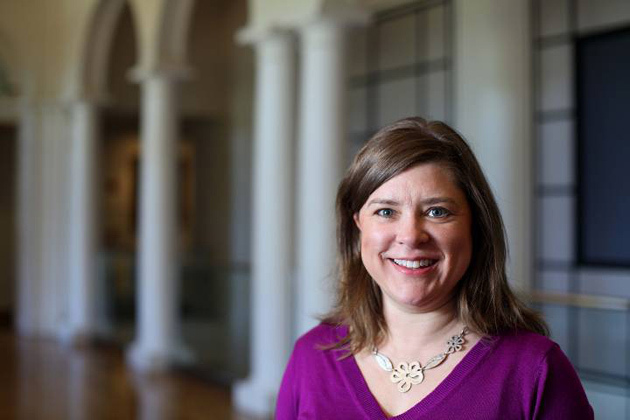 Dec. 12, 2016—Are you looking for a summer opportunity for an advanced learner in your life? There is no need to look past your own backyard. May. 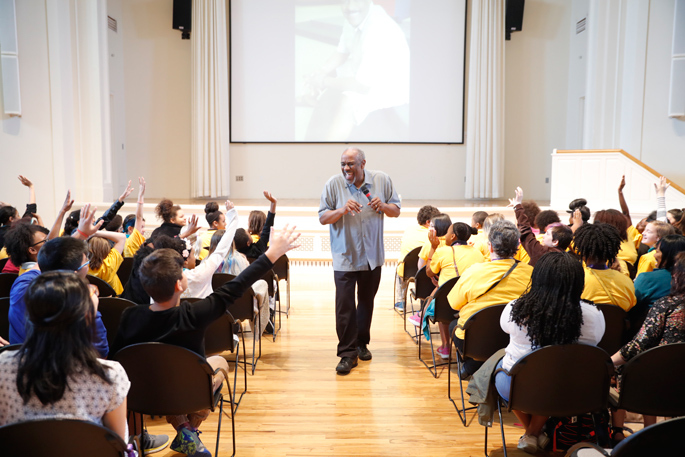 24, 2016—Children's author Christopher Paul Curtis addressed MNPS middle school students at Vanderbilt’s Wyatt Center May 19. 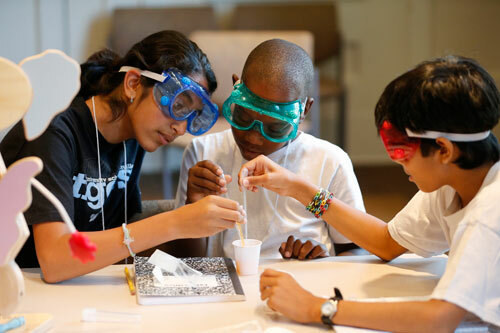 Aug. 19, 2015—Do you have a gifted student in grades K-6 who is looking for accelerated coursework? 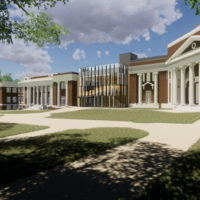 If so, consider enrolling them in Saturday Academy at Vanderbilt for the Young. Jun. 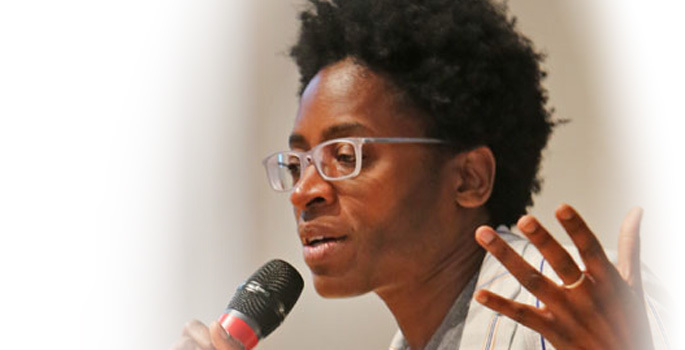 5, 2015—Metro Nashville Public Schools fifth- through eighth-graders gathered at Vanderbilt to hear acclaimed children's and young adult author Jacqueline Woodson, thanks to a gift by best-selling novelist James Patterson.